Hitomi Kanzaki is a typical high-school girl, aspiring to be a star athlete. The one thing that makes her different from any other people is that she can read fortunes with tarot cards. It all started when she encountered a mysterious swordsman called Van Fanel, from the Gaea dimension. Hitomi was then transported into that world. Van Fanel is the king of Fanelia. However, from the day he became king, many invisible giants invade his homeland. 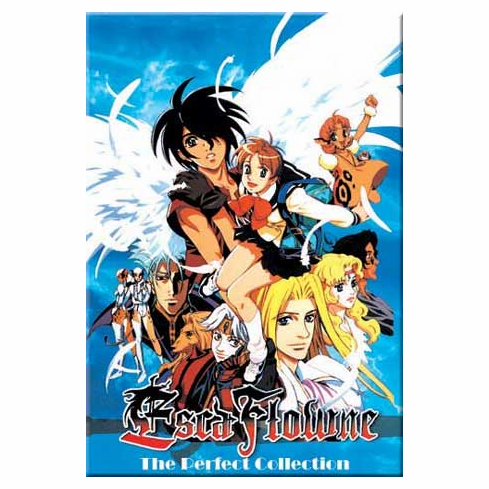 With his robot-like mecha, Escaflowne, and Hitomi's ability to foretell the future, the journey to save Gaea begins. Hitomi finds herself in the middle of a medieval war.